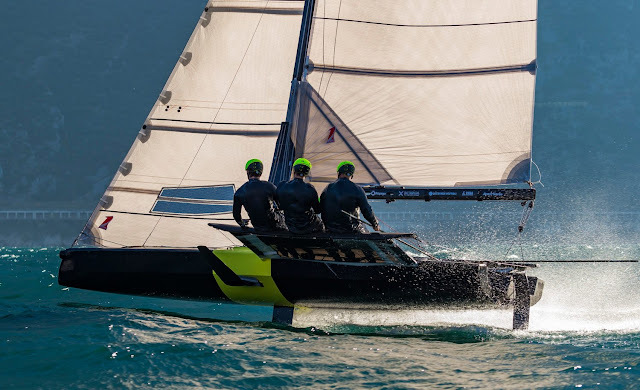 Goodall Design has taken note on the convertible concept and they have embraced the concept fully as done already by Cirrus & Nacra. With a tradition of quality and functionality the Goodalls opted for an add-on daggercase, which in our view is the way to go along Z boards design. 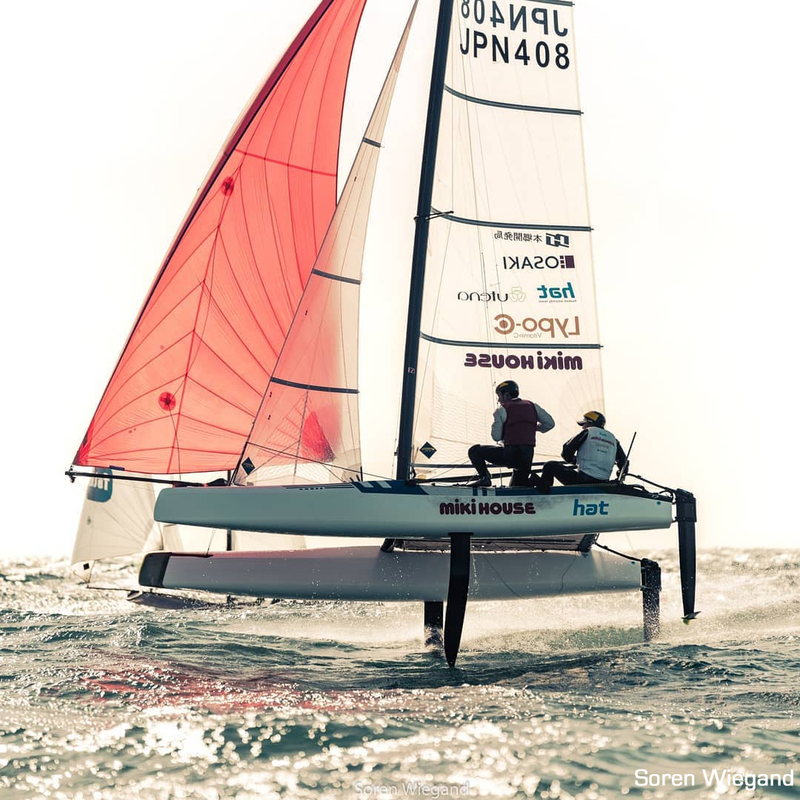 Their Z foils are a combo of Nacra 17 one integrated with Exploder / D3 Applied Technologie development for their winning A-Class. The concave diagonal section shape has proven superior in the As and adopted also by DNA for latest F1x foils. For rudders they have chosen T styles ones, another good selection in our view towards stable flights. Photo to the left is from their Viper F16 kit but C2 will be same scaled if needed. Check video above made by Brett Goodall, showing the 2019 C2 platform. Changes include moving the case forward, this new C2 case position is now the defacto F18 legal racing placement (Martin Fischer's Wildcat/Phantom F18 legacy) and will serve for as a great flying feature for the 2019 C2 convertible. 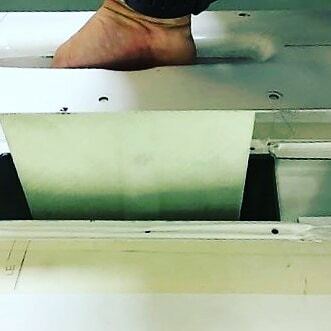 Along the convertible package, Epoxy hulls and daggercase placement , new F18 legal daggers will be fitted (tested at Sarasota as proto), so all top F18s are converging once more to a quite similar gral diagram on main features. Excellent development by Goodall Design once more. We expect to see the new Epoxy Convertible C2 racing at Costa Brava Worlds in 2019, it will be a great test for the convertible concept in terms of F18 legal racing. 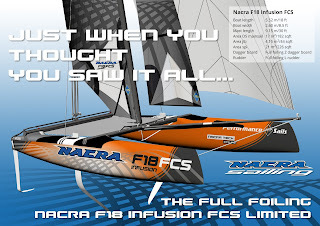 For those wondering why we haven't seen F18 convertibles flying videos yet, stay put that they will come in masse, if you have been reading my comments on the matter you will know by now that these platforms by Cirrus, Goodall Design & Nacra will foil no doubt. In fact it is a secondary aspect by now, key one will be how they behave for F18 legal Racing, the Cirrus R2 has already passed that test no problem in 2018. F18 Convertibles are all over the place. 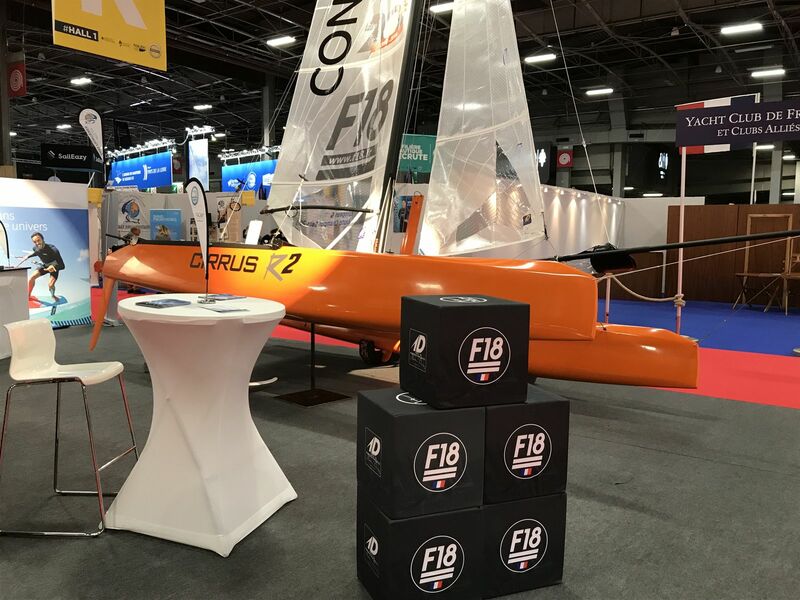 Cirrus R2 was the first production boat, C2 will be delivering the updated version for 2019 (more on that one next) and now Nacra re launches theirs, as the MK3 was advertise already as Convertible. 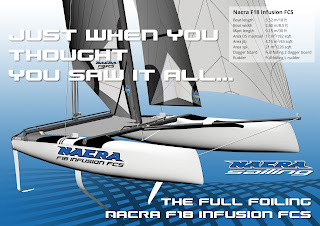 Received this material from Nacra, new CEO Bob Hensen confirms that these two platforms featured in this post are full foiling versions only, as they come equipped as seen in renders above. 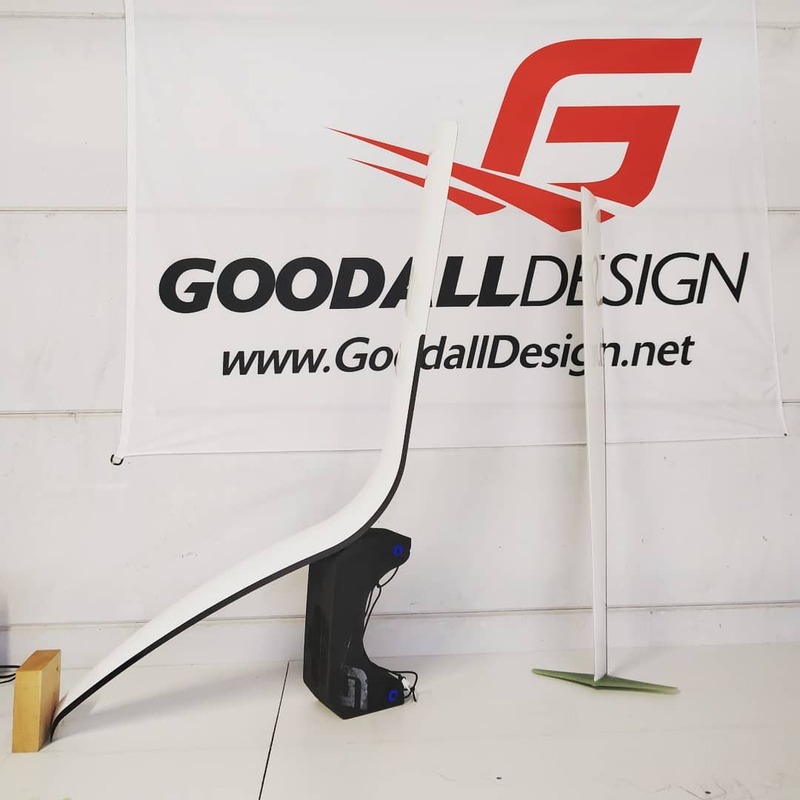 Upgrade kits and F18 legal rudders/foils are not included on the price below, just foiling equipment and we assume hulls,beams, mast and rest of platform are F18 Class legal and the owner can fit a set of straight daggers plus standard alu castings and straight rudders and go F18 legal racing. Note the L rudders a la Phantom Essentiel. Alex went for Ls based on a safety feature mainly. Z foils are surely Nacra 17 ones or scaled (if). 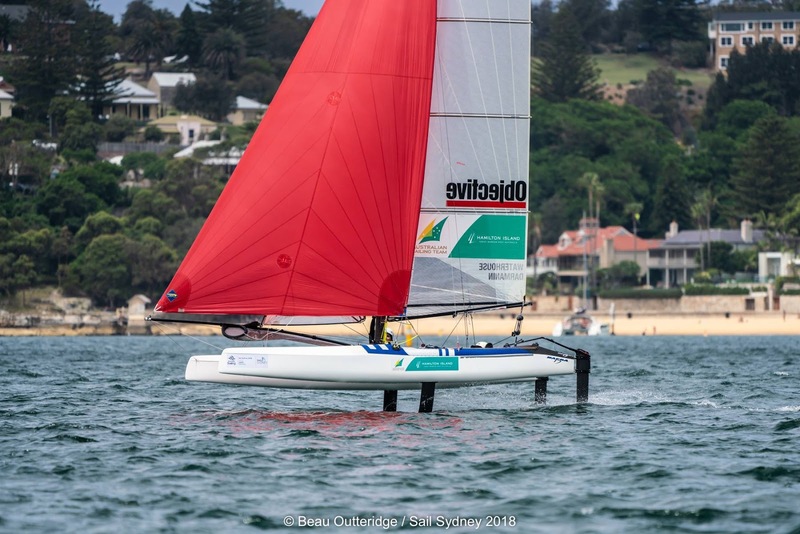 Many have doubts that F18 platforms can foil good, but all area missing how Nacra and Goodall Design have moved their dagger cases forward to match what we've done for the Scorpion (in front of side stays) which was already proven by Martin Fischer on the Wildcat & Phantom F18. Cirrus R2 also has a similar case position. Key will be the convertible box, which had some issues on the Infusion MK3 for legal F18 racing. Goodall Design and Cirrus have done a great job to solve that aspect. We don't have more info on these new Infusion FCS though. Nacra F18 Infusion FCS has been built to meet the highest safety standards and the standards of a wide range of - more or a little less - experienced sailors. Nacra F18 Infusion FCS limited edition will be available for €28.632, complete with race package and limited edition wrap design. This distinctive wrap design will be available in orange and apple green. Custom designs can be discussed. Little slow on updates this week as I'm spending some vacations time with family. A joy being able to teach my kids how to surf. Today we had another great session, they are in their initial steps, learning how to catch waves and ocean handling but so happy to see them having an awesome time. All the sports I learnt as kid were thanks to an excellent oriented sport school/high school , a healthy life at our local rowing club and the endless 3 months summers spent at the sea, where I start surfing with a fiberglass board at age 12 by myself. Our generation had a freepass to do what we wanted, thinking it out today I wouldn't leave mykids on the water alone, crazy. Those in their 40-50's today did what we wanted without much parents overlook or restrictions, it was a different era of course , and it build self confidence and drive to do things on our own, risky way indeed on occasions but priceless childhood. With current kids depending much on tech depending, its fresh air having them out there. Today I feel so good being able to pass my kids some knowledge & experience, and to look over them in the process. Great feeling that all those who can should experience. On the sailing aspect 2018 was another great year, some great news still pending and we will make a wrap-up later next week. Have a nice Christmas & better 2019. 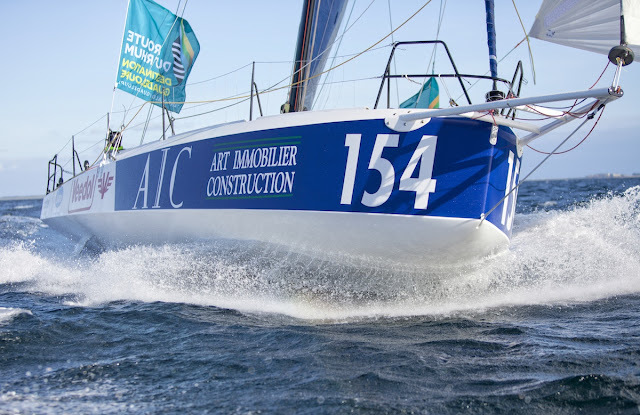 We followed Yoanne Richomme's Class 40 project since its inception thanks to our friend Christophe Launay. We are happy for both, and a pleasure to receive and promote Launay's top quality photo reports. Video with Yoanne's recollection above. 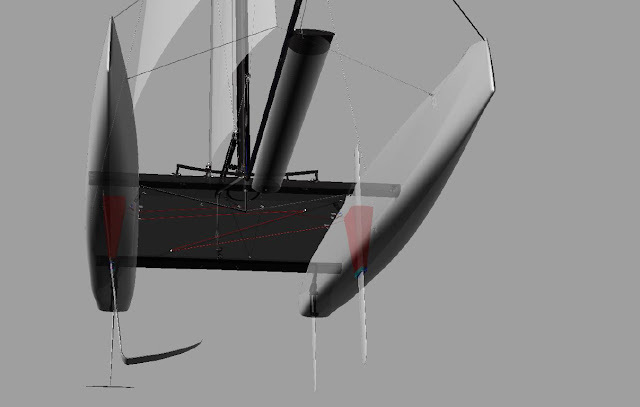 Photo progress for this winning Class 40 design by Christophe clicking the Class 40 label. Photo: Courtesy of Soren Wiegand. Follow him on Instagram. Tremendous capture by Soren from the first breezy day at Vilamoura. 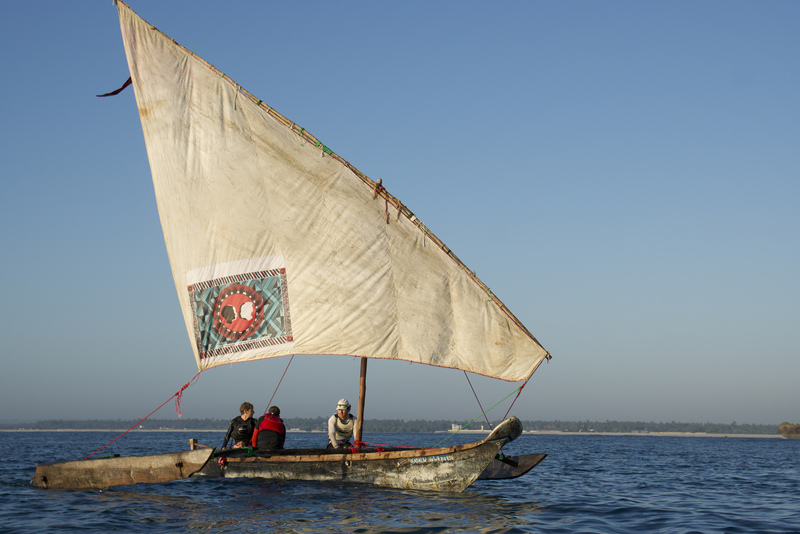 The boat height / heel, crew & helm stance, the windward foil, the breeze. Perfect shot. 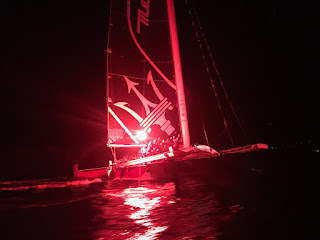 He also reported on the conditions & the dangerous crashes of the foiling N17, and he nails out how early we are on foil devel yet, for those who ask me to go airborne on the F18 legal racing.. not a chance we will lose the Class best asset which is sailing almost in every condition, you have pitch poles plus capsizes too, but nothing compared to foiling ones. 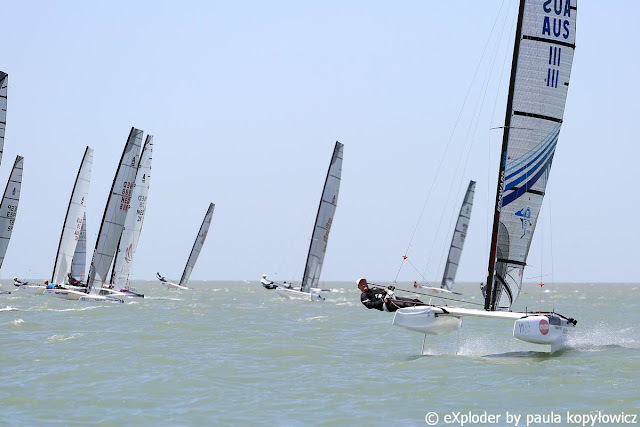 "Today was the first day of the regatta here in Vilamoura. The sailors got thrown straight into heavy breeze from the get go, that combined with a big swell ofc made for some spectacular racing and tough conditions for the sailors to tackle. Sometimes you can't understand how this sport have even more serious injuries than it has. 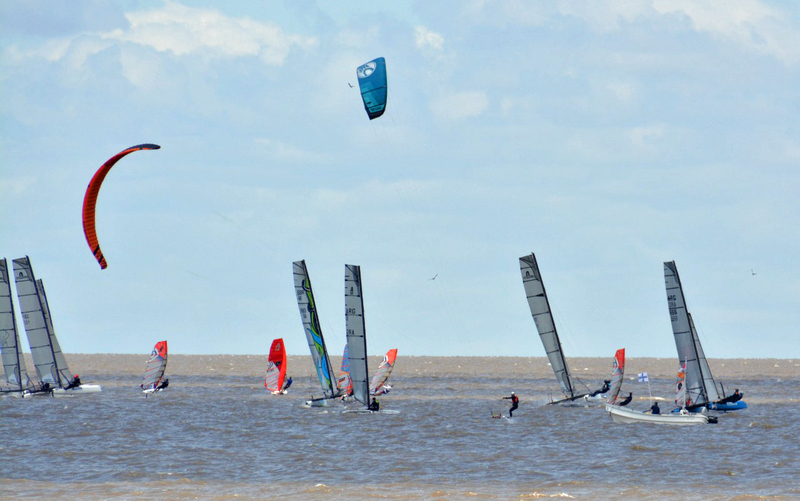 I know the foiling has brought about a new type of injure. However it's still very rare for a foil strike to happen. Let's just hope better equipment and gear can at least help minimize the severity of the accidents". Photo: the MW680F flying at Garda. - Back in August 2017 we presented a cool project from two local talented Argentinean Naval Architects, F18 sailor Laureano Marquinez & his partner Nahuel Wilson. The concept was shown first here in CSN and later was spread in other media, generating an overwhelming response. Laureano & Nahuel have been working in the backgro Wilson-Marquinez Naval Architecture firm, but they were rather unknown to gral public. When Laureano sent me their concept, I said : "Now you guys will make a name on their own". 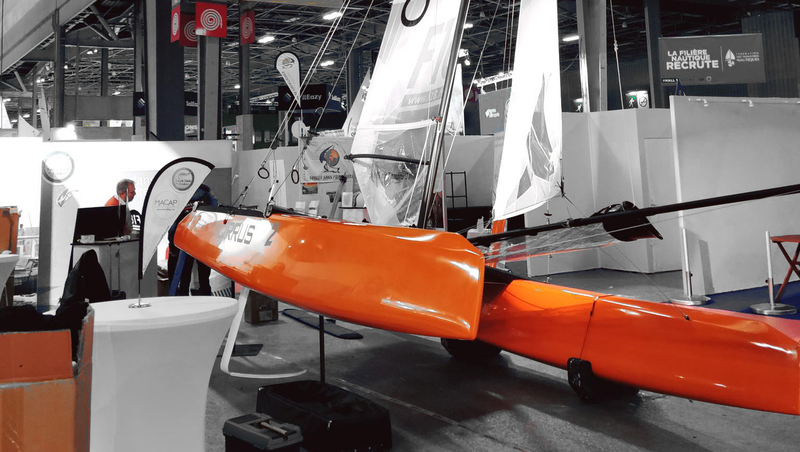 The concept of monohull foiler following the IMOCA concept is the way to go, as its like a Convertible, a platform that can saill in floating and foiling mode with almost transparent transitions. Compare to the complicated solution TNZ envisioned to back to monohulls... this platform is more reasonable and a proper logic design. 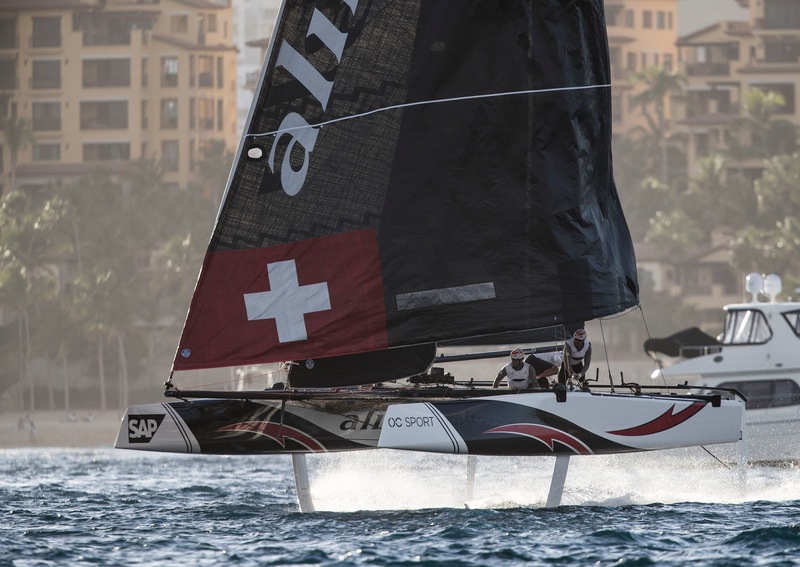 No need to re invent the wheel as current tinkering AC monohull foilers are doing. I even got them a known yard to review their project, but those visionaries didn't pushed forward. My friends were a bit annoyed at the time , but I told them taking concepts to the water takes time and no doubt this one was going to be built. In the end I was right, and this weapon its already flying smoothly +25 knots. Later more details and insights, we will do a QA with the our friends soon. 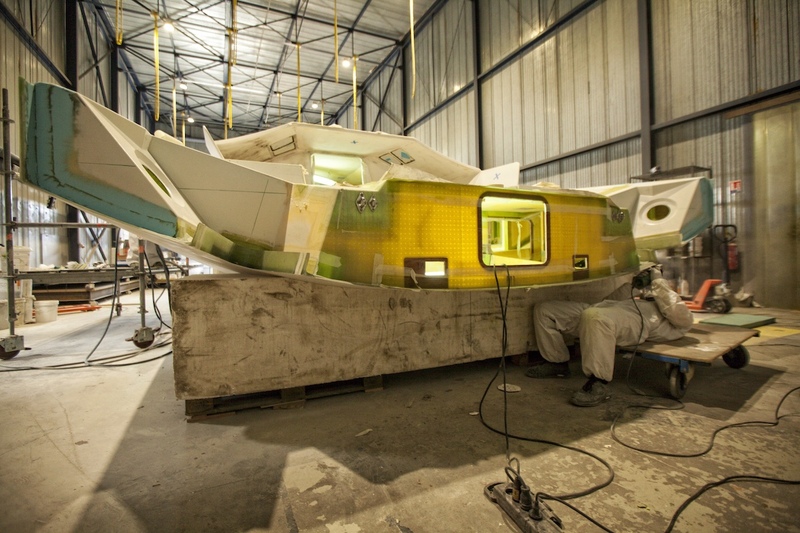 The Mw680F looks like a real Weapon, specially those hulls lines. Yet another project "born" in CSN. Proud on them for following their own path, now the Wilson-Marquinez name will be known all over the place. 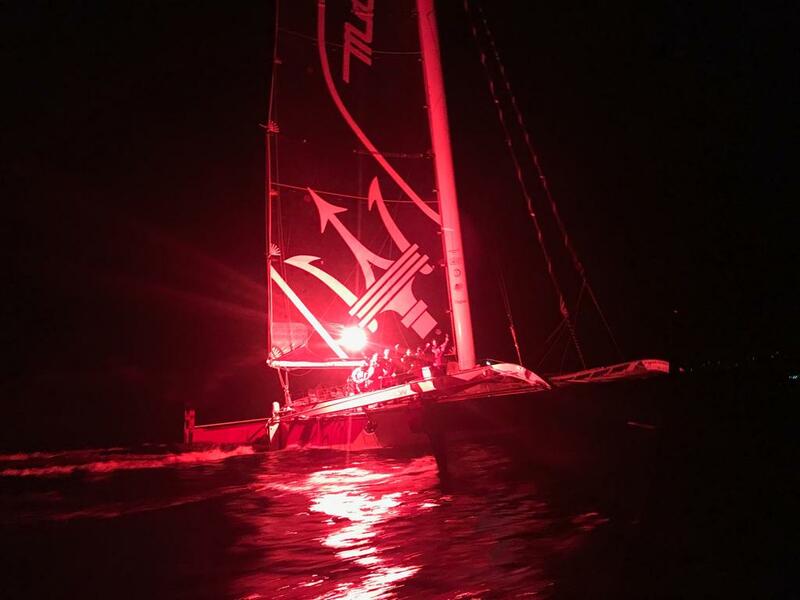 Source stbarthcatacup.com/ - Final video footage by Easy Ride / KWT Studio /nSaint Barth Flycam. Post & results for 2018 & past editions here.